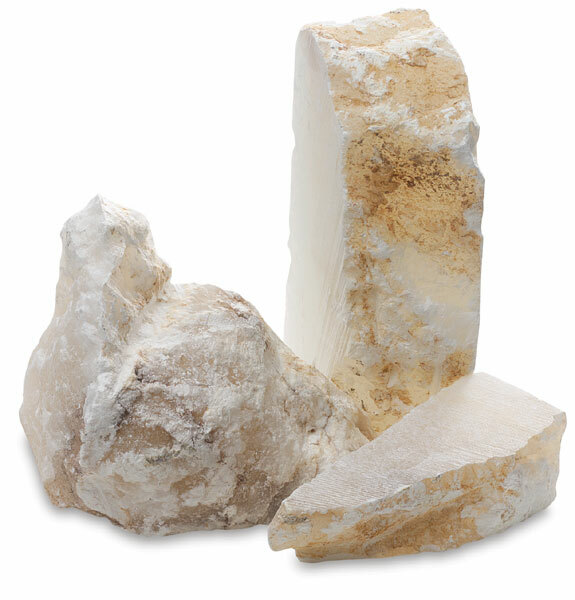 Alabaster is a medium-hard stone that is easy to carve, can be polished to a matte or gloss finish, and contains no asbestos. It is a very pure stone with rarely an imperfection. Hand-picked and imported from Italy, Sculpure House Alabaster is a crystallized, translucent, white alabaster with very light veining. Light will filter softly through thin areas of this stone. The shapes of these rough-cut stone pieces are random, so the sizes and weights listed are approximate.